Two days after Angela entered Sanctuary, President Obama announced an expanded “Deferred Action” program for undocumented parents of citizen children. 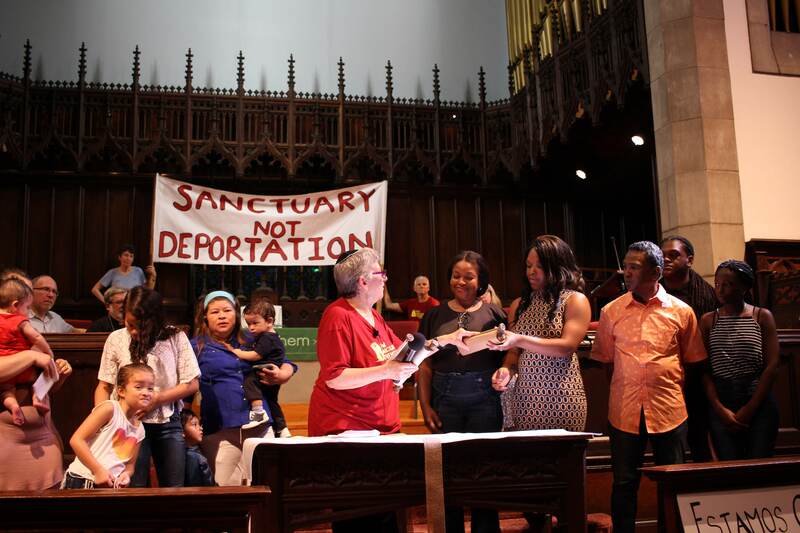 We held a “watch party” at West Kensington Ministry with about 50 people, including immigrants, citizens, clergy, and City Councilwoman Maria Quinones. Obama’s immigration announcement, which will be heard by the Supreme Court, is thanks to years of pressure by immigrants and their allies.